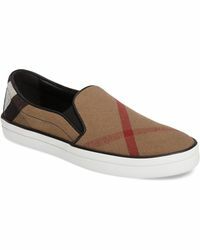 You can't go wrong with a pair of slip-ons for all-seasons style, so when choosing your next pair, look no further than Burberry's classic Gauden slip-on sneakers. 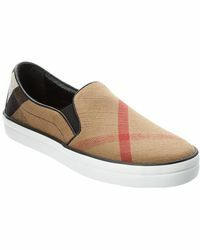 Featuring Burberry's iconic house check, these slip-ons not only look good but are super comfy too - just what you need when you're hitting the streets in search of your next instagram fix. Shop the collection of leather, print, canvas, suede, and laser-cut styles to find your perfect match.